The emails Morgan Stanley Wealth Management clients receive during dramatic market drops such as the one earlier this month may come from financial advisors — but those messages may have been drafted with the help of artificial intelligence, according to CNBC. 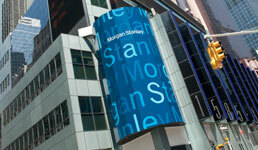 More than 20,000 Morgan Stanley employees, including more than 15,000 financial advisors, have access to a suite of tools called Next Best Action, formally launched earlier this year, the news website writes. The system analyzes client communications via emails, texts and other notes and uses machine learning to suggest to advisors messages they could send to the clients, according to CNBC. This can range from alerting advisors to contact a client when a large investment in their portfolio gets downgraded, for example, to sending a list of resources to clients who are in the path of a hurricane, the website writes. "The machine serves up those ideas to the financial advisor, and then they decide what makes sense based on their practice and the needs of the clients," Jeff McMillan, chief analytics and data officer at Morgan Stanley Wealth Management, tells CNBC. When applied to wealth management and retirement planning, AI “is tangible, is practical and is just making the whole velocity of interactions more efficient," Ram Menon, founder and CEO of the start-up Avaamo, which offers conversational artificial intelligence to financial services firms, tells the news service. At Morgan Stanley, AI, in other words, is aimed at enhancing rather than replacing advisor communications, according to CNBC. AI gives advisors more time for more in-depth conversations while giving them the ability to reach more clients faster, Morgan Stanley’s McMillan tells the website. But it turns out that some clients in fact prefer the machine to the human, according to CNBC. Clients at an undisclosed financial services firm in Asia that worked with Avaamo, for example, said they were happier with the virtual assistant offering them life insurance quotes “because it doesn’t lie,” they said, according to Menon. And robo-advice pioneer Wealthfront believes its clients prefer nonhumans, according to the website. "We don’t call someone to really do anything anymore," Kate Wauck, vice president of communications at Wealthfront, tells CNBC. "That’s just an ingrained consumer preference."